Our Babies just can't have enough soft and cuddley blankets. So Baby Camo is being introduced into our knit wear line of Baby Camouflage Clothing. 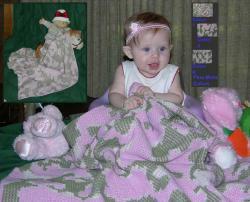 Our little Model "Elly the Cabbage Patch Baby' is riding off in the sunset with her new blankie! This is an Acrylic Blanket for easy wash and wear care. 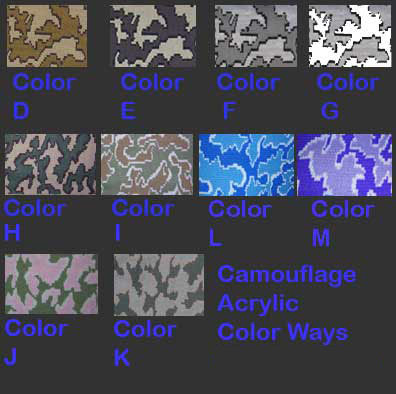 This Camouflage Tuck / Jacquard Blanket is colored in the same color ways as the rest of our camouflage items. This allows you the opportunity to create a whole ensemble co-ordinating the sweaters, booties, caps, pants and blankets. Check out the 'baby set's where you can save money! 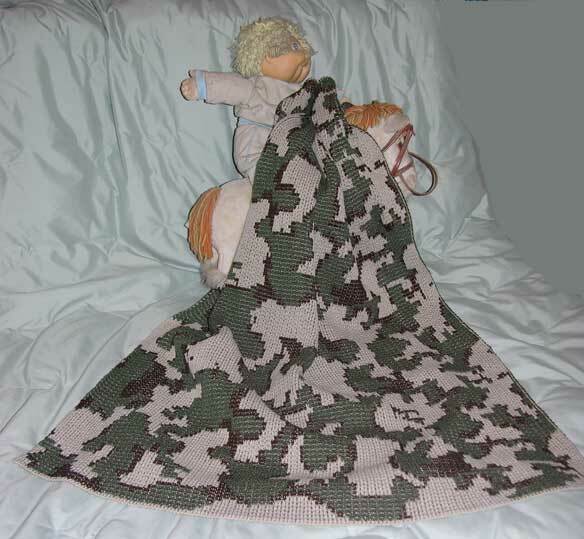 This Blanket is A Real Keepsake for any Baby. Our Camouflage knit items show support, honor and respect for all those who protect our great country. The blanket is shown in Color J: pink/ivory/light olive. Select your color in The Available Options Below. If our inventory is low, allow 1 week for us to especially hand loom your special color. These blankets are individually made and not a 'mass production' item. We take pride that each item is made to our high quality standards. Submitted by Emailed in Review on Fri, 08/09/2013 - 20:54. Submitted by Emailed in Review on Fri, 08/09/2013 - 20:37.